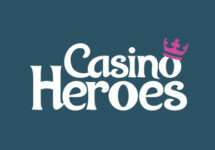 Casino Heroes – Oktoberfest Weekend! Try new games and collect superb rewards! Awesome Oktoberfest weekend going down at Casino Heroes. First, players can compete for a share of €10,000 in cash by scoring the highest single coin win on one spin on Pumpkin Smash, a slot creation by Yggdrasil. Keep going on Sunday and beat Boss Tigris in a race for points to win up to 370 Free Spins on Planet of the Apes™, the latest blockbuster game from Netent. Still not enough? Then make sure to log into your Casino Heroes account on Monday to devour 20 Free Spins on Planet of the Apes™, no deposit needed, if you deposited within the last 60 days. Looking forward to an exciting weekend with thrilling action on the reels? Then logging into your account at Casino Heroes is a must as tons of cash and Free Spins are up for grabs, courtesy of their marathon Oktoberfest party. Play for big cash prizes on Yggdrasil’s newest slot and collect up to 390 Free Spins on Planet of the Apes™. Take part in an 5-day cash race on Pumpkin Smash, running until midnight on 23rd October 2017. Score the highest coin win on a single spin, irrespective of the bet size, to place in the TOP250 for a share of €10,000 in cash. The leader board within the game client updates in real time, allowing players to improve their position right up to the end of the tournament. Prizes range from €15 – €1,000, credited in cash, with no wagering requirements within 24 hours after the tournament has ended. Beat Boss Tigris in a race for points to win up to 370 Free Spins. Race each day, starting at 12:00 CET, against the Boss to win up to 185 daily Free Spins on the epic new slot Planet of the Apes™. The Free Spins will wait in the Treasure Chest until the game is released on 23rd October 2017. 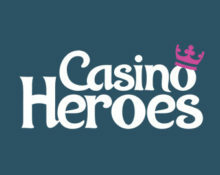 Wagering requirement is 40x FS winnings, subject to the Casino Heroes bonus terms and conditions. Enjoy 20 Free Spins on Planet of the Apes™, no deposit required if you deposited since 23rd August 2017. Find them in your Treasure Chest until 23:59 CET. Spins expire after midnight, while winnings from them need to be wagered 40x. Bonus terms and conditions apply.